Want it by Wednesday 24th April? Order within 4 days, 20 hours, 24 minutes and choose Next Working Day - Kerbside Delivery (Order Must be Placed by 2pm) at checkout. 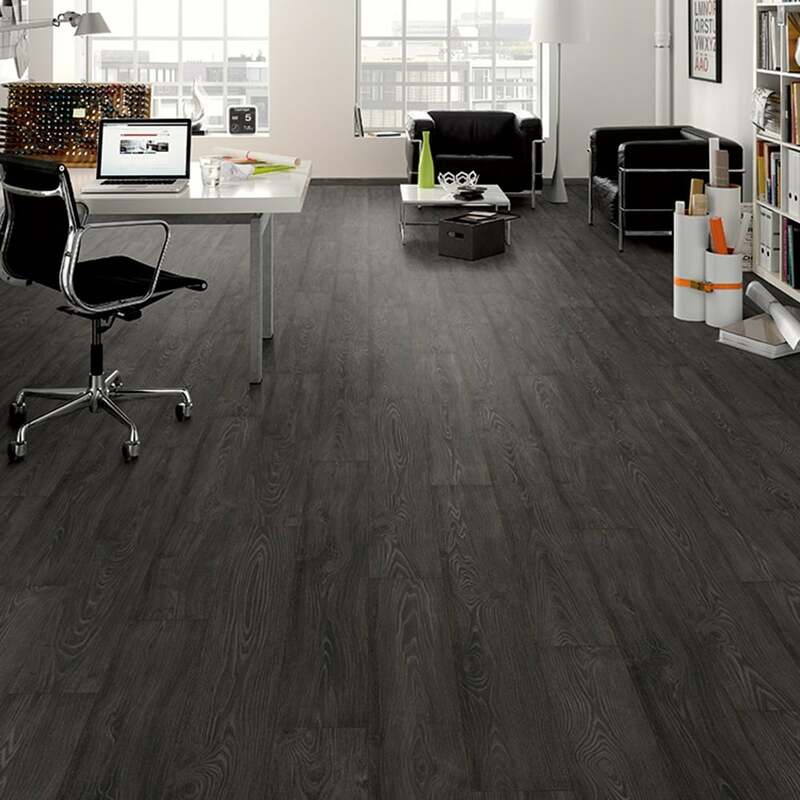 Oak is a timeless species that is highly sought after with a true to nature look with a fantastic Black Smoked finish. The colour is lovely! Smooth and very good value for money! Absolutely love the laminate floor, great quality and makes my house look like a show home! Totally renewed my living room and hallway. Fantastic customer service, from the start to the finish. From ordering the samples to adding another box via the phone to delivery. I did have doubts with ordering online as never done this before with flooring but would recommend this company to everyone. Could not fault anything. Excellent product. Lovely finish and easy lock in system. The sample is perfect for my room. So much so that I have ordered it. Thankyou. Sample came quickly and surprisingly well packaged with an unexpected sample of underlay which was of the type I hadn't seen before. There was also a booklet provided telling you about the different types of flooring with the pros and cons of each so you could see what the difference was between the budget end and also the premium end so you could make an informed decision. The bottom line was that I ordered all my flooring on the back of the sample received. Job done! Great sample, good quality. Just trying to decide between this and another one. This product looks amazing....I thought it would be too dark as it looks dark on the image shown but actually it's not. It's that nice I ordered it for my kitchen and decided to do the dining room as well. Samples are far too small compared to samples from other companies. Impossible to judge colours. Photo is of this company’s sample and the big one is a different company. Ordered a sample so I could see what it could look like in my new home - super happy with it. Can't wait to move into my new home so I can place my order! Appears to be top quality laminate flooring as you'd expect from German engineering. Can't wait to fit it to my kitchen and seen the room transformed. We ordered a free sample and it arrived promptly, we’ll packaged and we were very impressed! The quality is outstanding and the customer service is on par with the best. I would recommend to my closest friends and family without hesitation. Such amazing value for money! Good quality! Looks so expensive down on the floor and feels nice under your feet! Delivery was quick and the driver was very polite and helpful.I will definitely buy from them again! I love my new dining room. Such a lovely colour, looks and feels very durable. Was suprised how big the sample was! Very impressed!